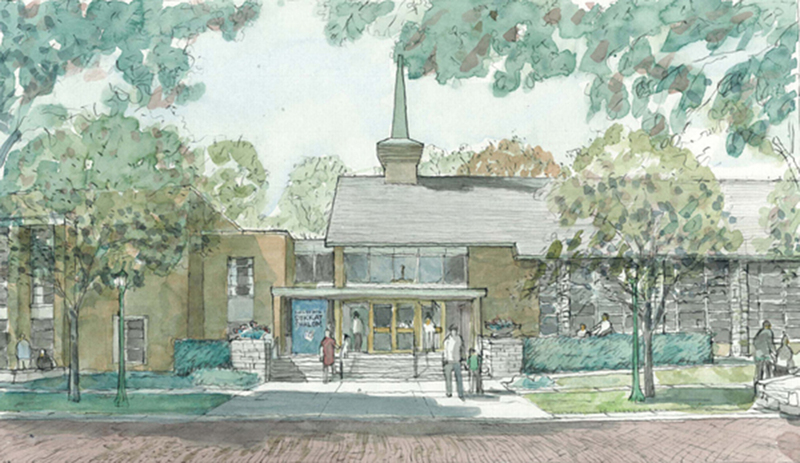 A Congregation, and a new home. 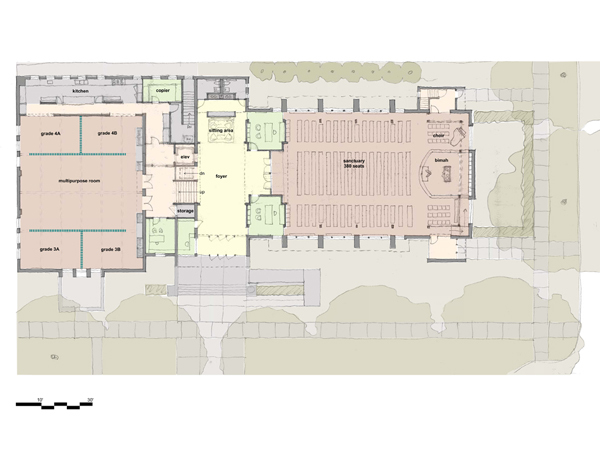 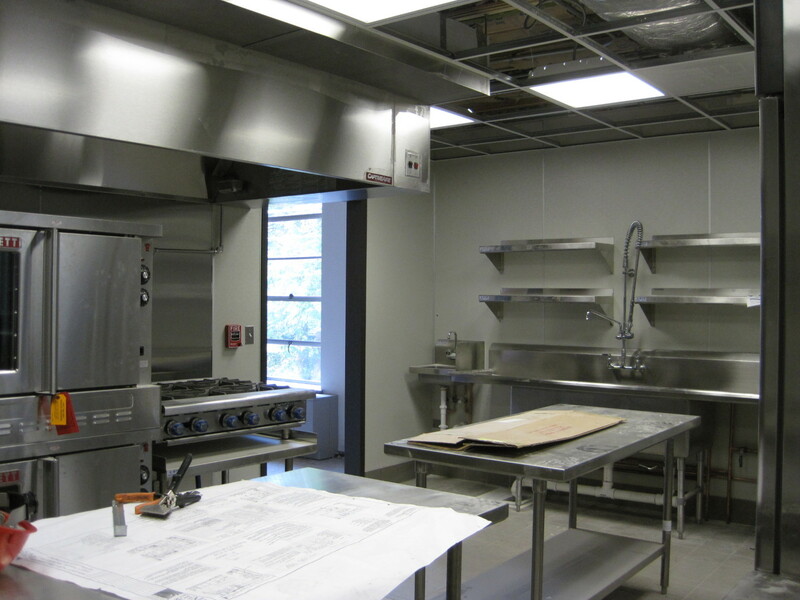 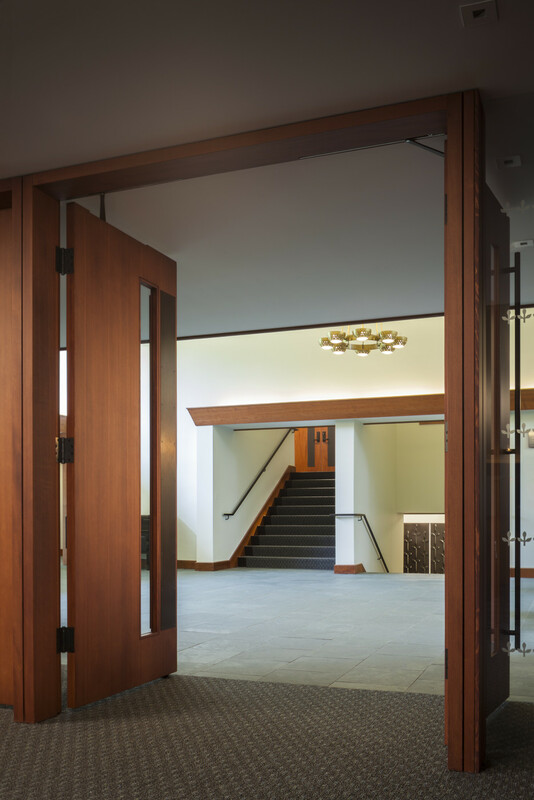 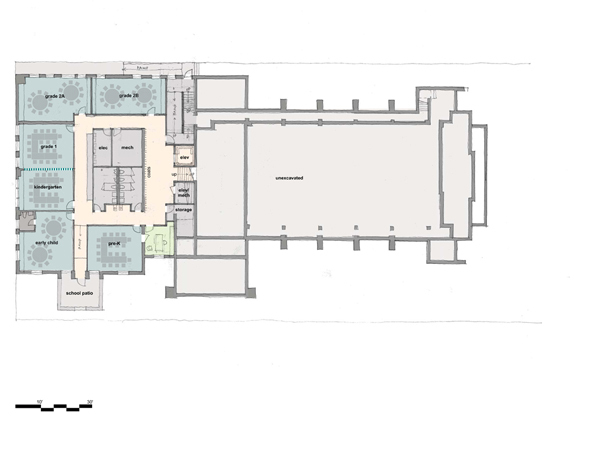 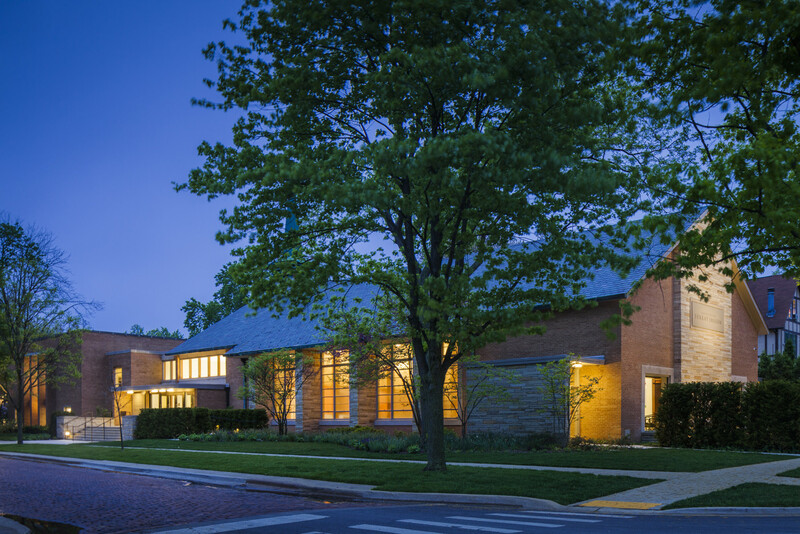 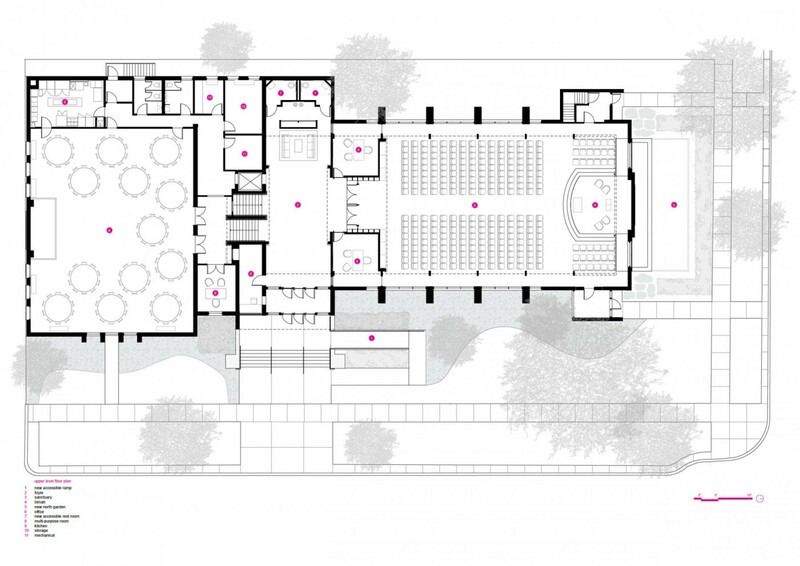 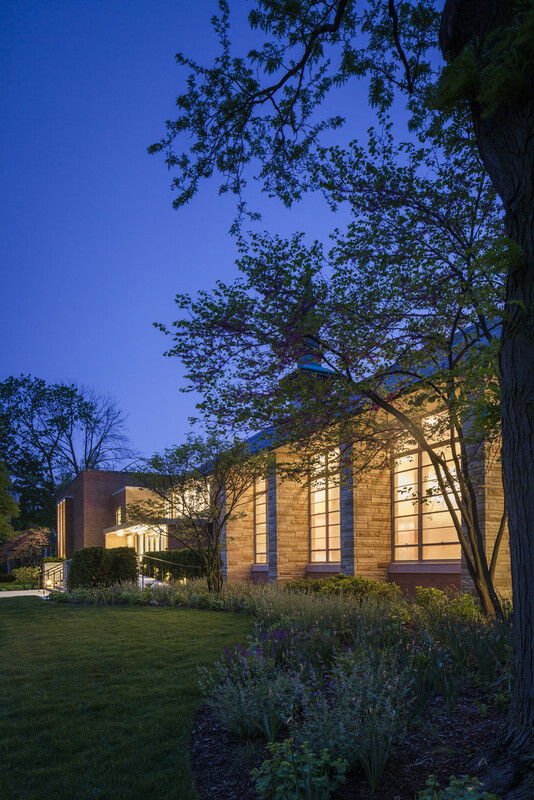 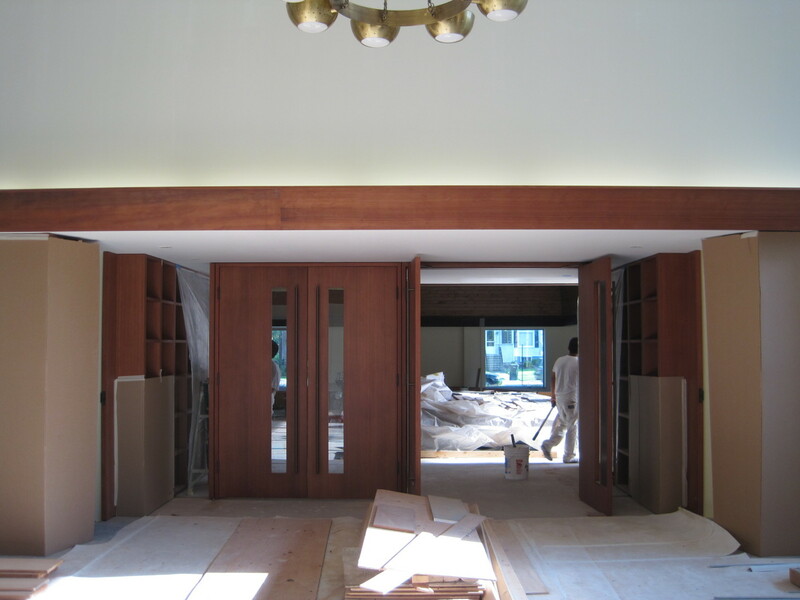 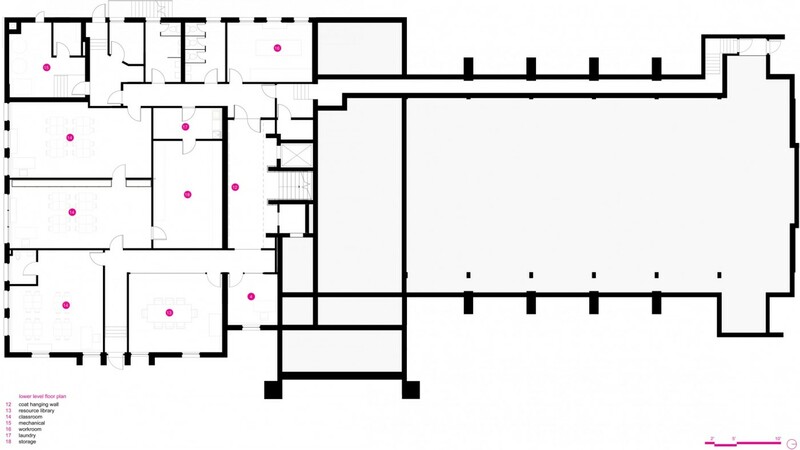 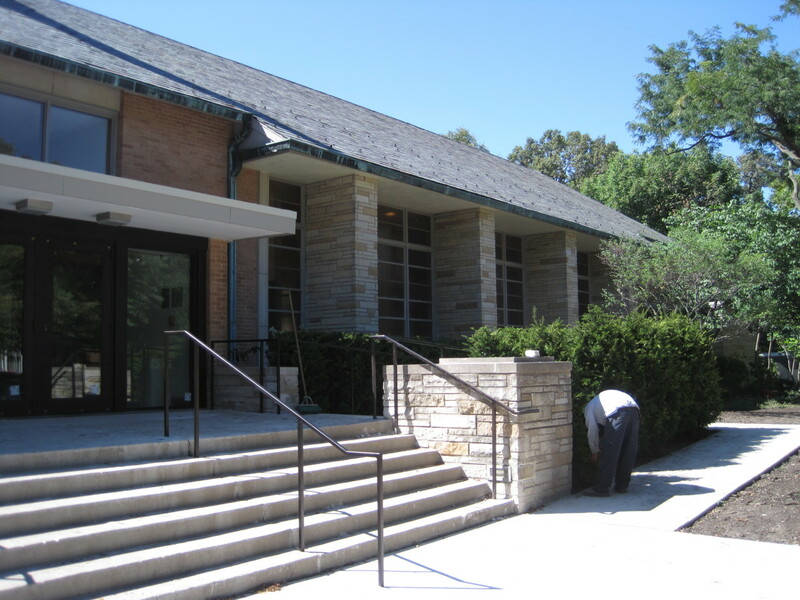 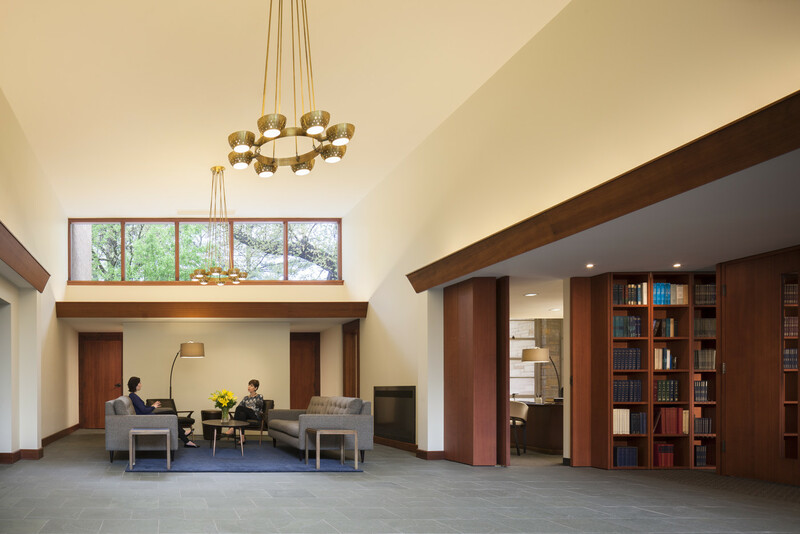 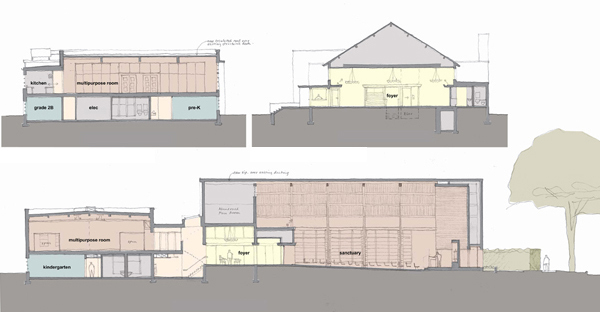 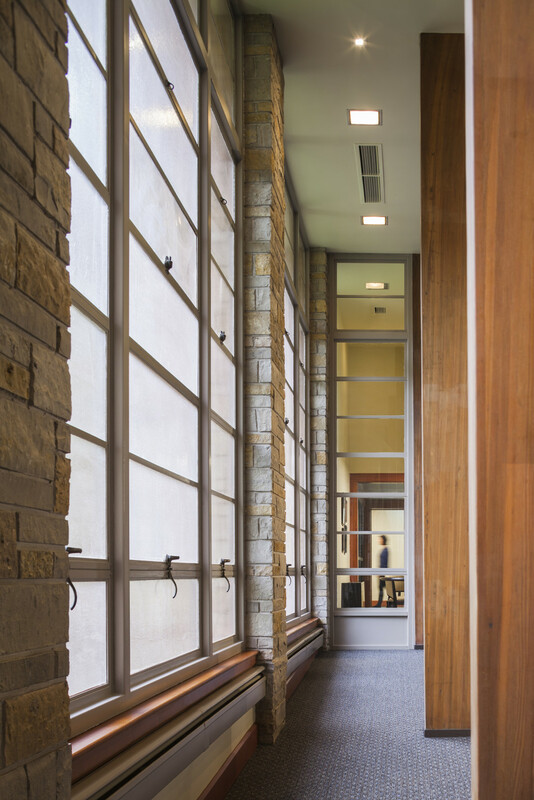 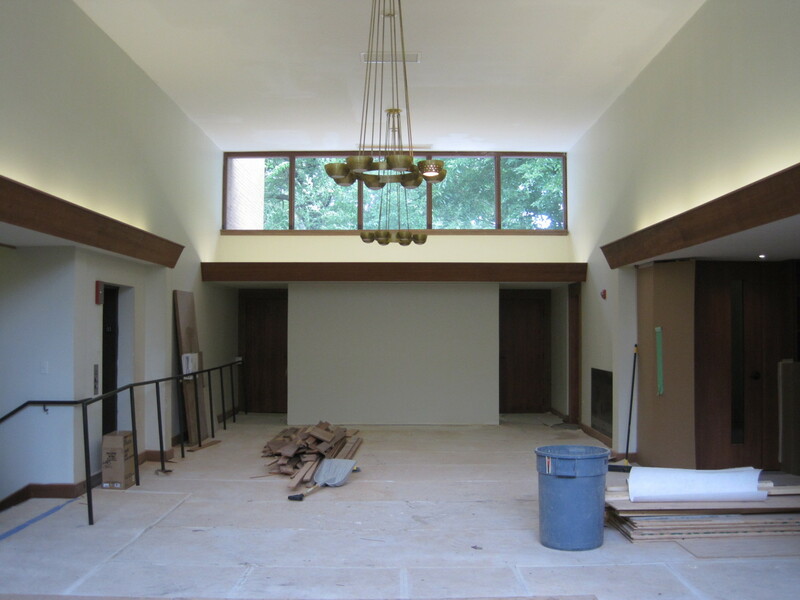 In 2010 Congregation Sukkat Shalom invited WKA to conduct a feasibility study to convert a mid-century Christian Science church in Wilmette into their synagogue. 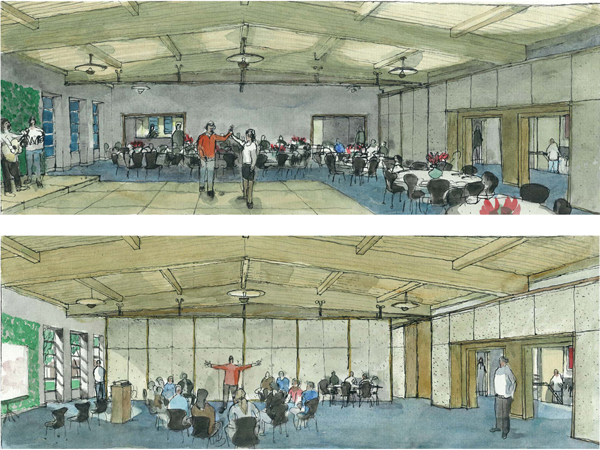 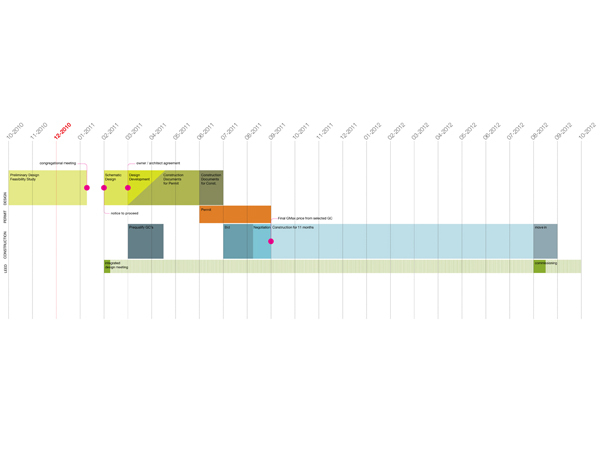 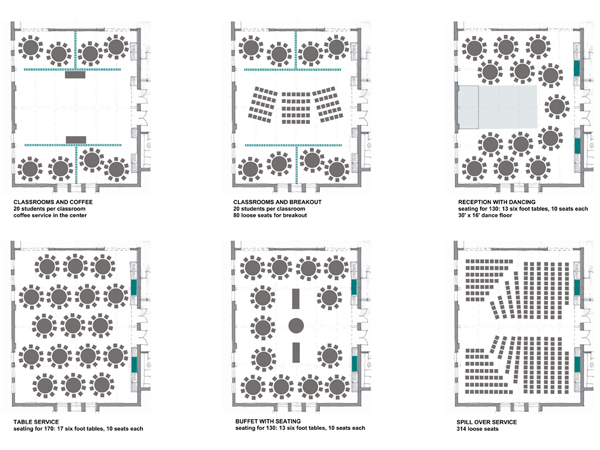 Combined with promotional watercolor renderings, the capital campaign was successful and resulted in the purchase of the 16,000sf masonry and expressed glulam structure, with construction beginning in Fall 2011. 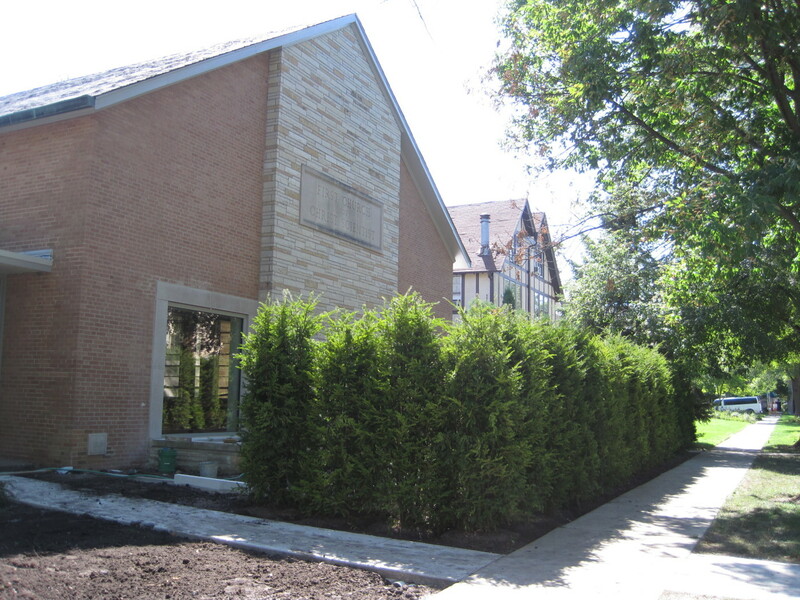 Strategic interior alterations and refurbishment of the building accommodated the Congregation’s education programs and administration needs, attended to accessibility and life safety compliance throughout, overhauled the original building HVAC system, and most importantly reconfigured the existing organ focused auditorium to house the Sanctuary and Bimah, visually integrating it with a new enclosed garden to the North. 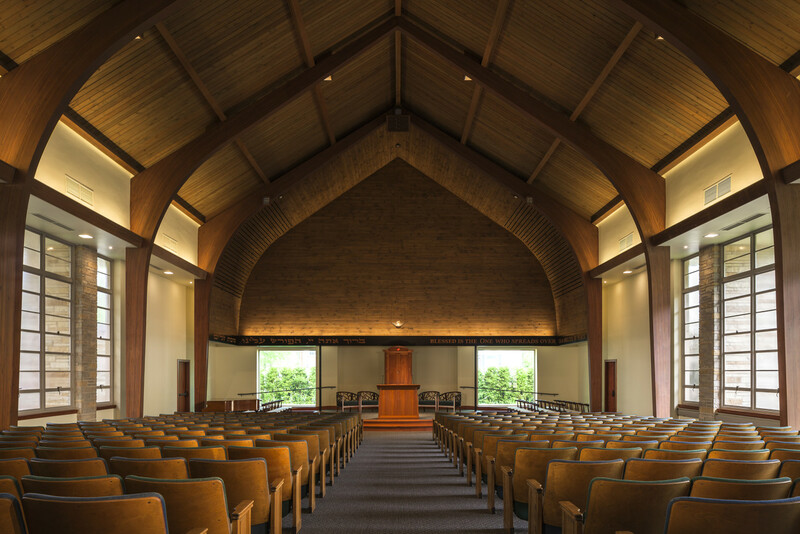 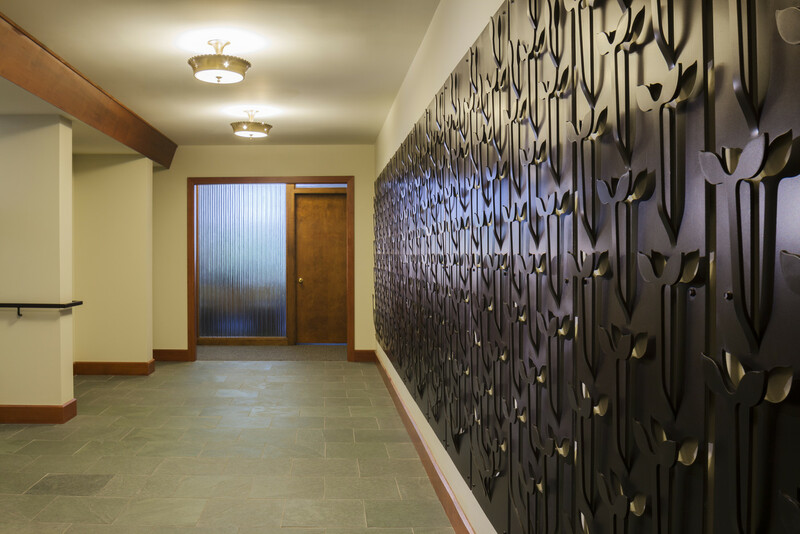 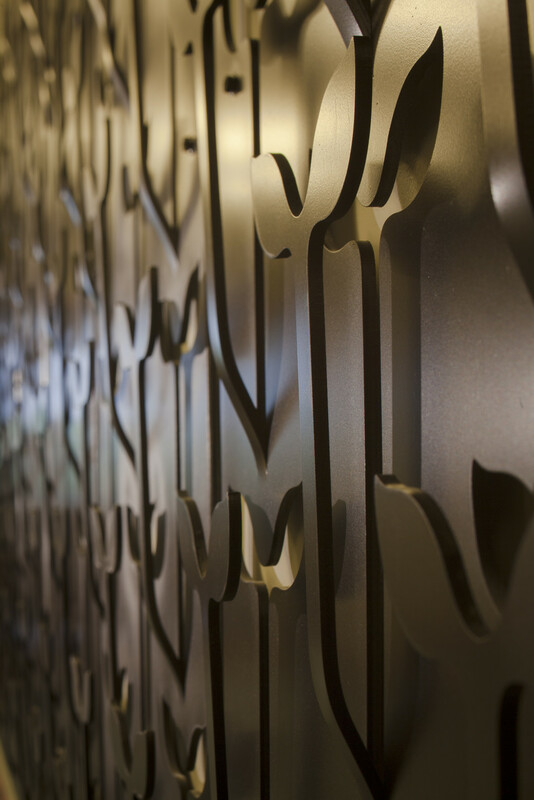 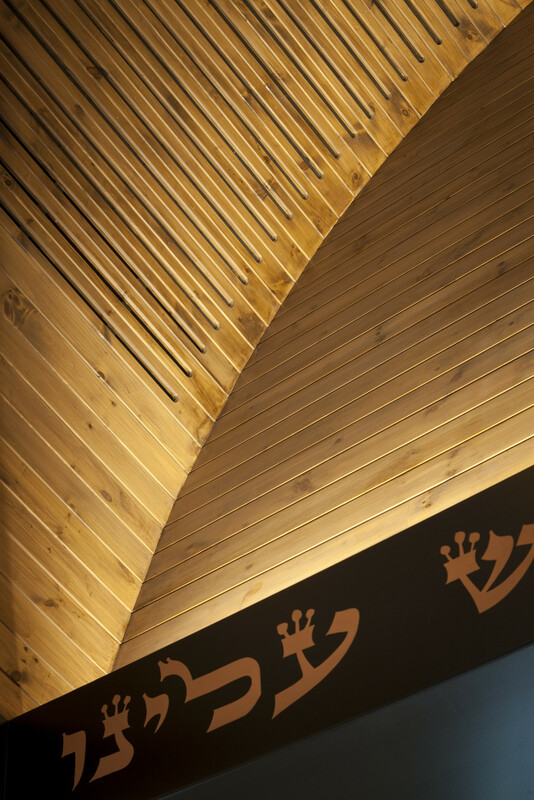 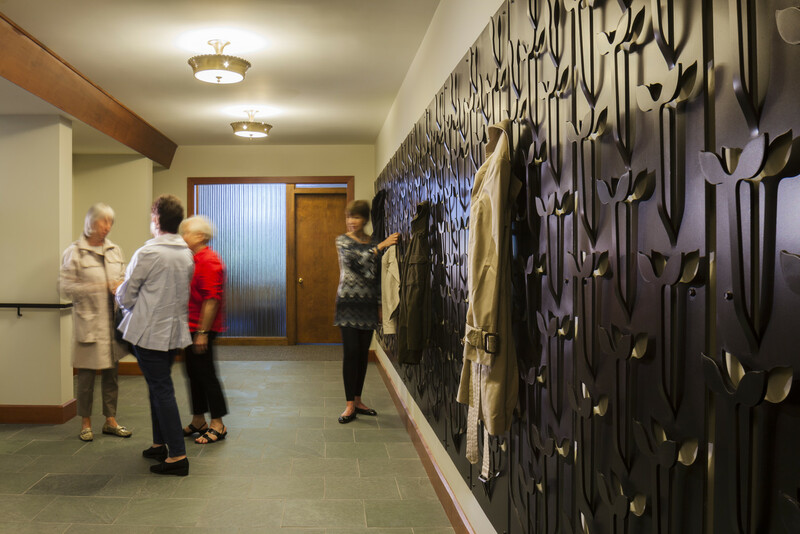 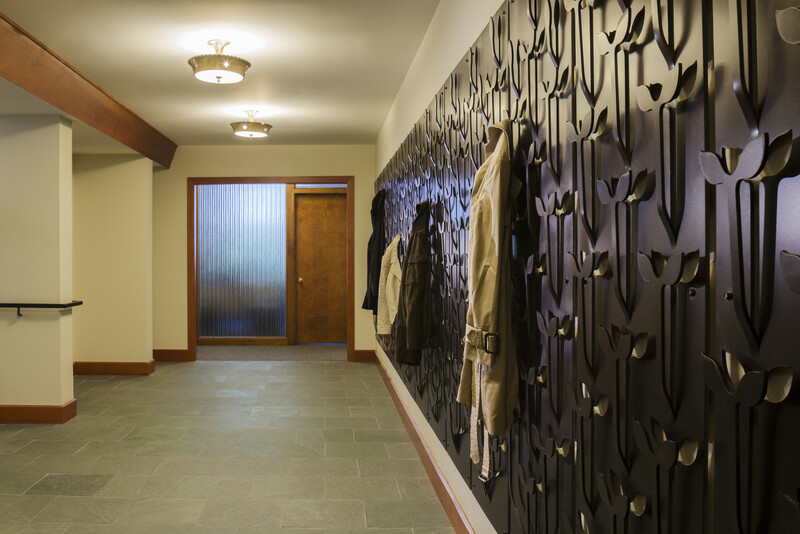 Original redwood was salvaged and reused; a new fir shell was formed over the Bimah, improving natural acoustics while integrating mechanical ventilation; existing materials of textured diffuse glass, limestone and brick masonry were countered with slate and darkened steel; CNC technology was utilized for new exterior metal signage, as well as the creation of decorative metalwork for coat hanging wall panels. 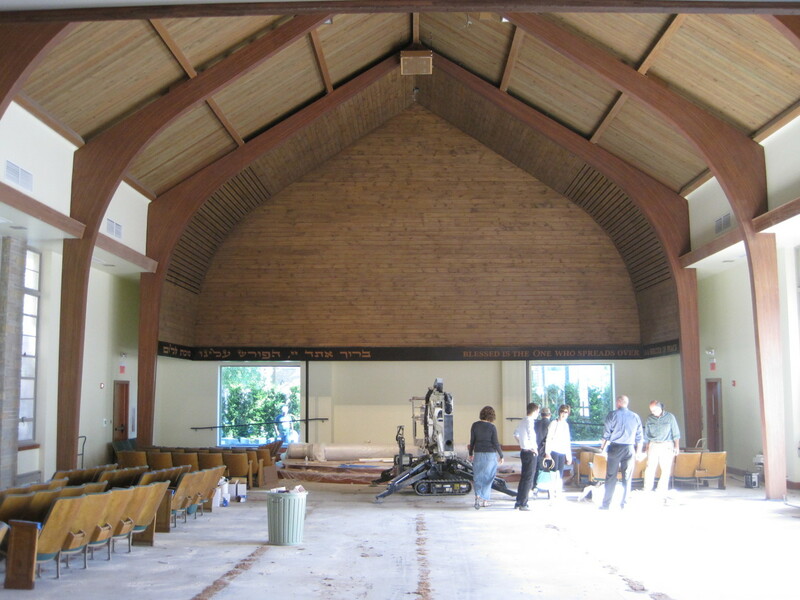 Respecting the spirit and character of the original building, the Congregation made their new home; a shelter of peace.